I'm coming at you with a different sort of review today. I don't often review 'perfumes' because I feel like I'm absolutely rubbish at describing scents. These are much too special to not share with you and I can guarantee that you've never experienced something like these in your life! There are many reasons why I was intrigued by these Pacific Perfumes so I'll just go ahead and list them for you. Beech pots were crafted from sustainable New Zealand forests. A 'snap-to' closure ensures that the product remains sealed and secure so it can be thrown into your handbag without a worry. Because the product is a cream, you don't run into any leakage problems. These two features were the reason that I happily took my Pacific Goddess perfume to Thailand with me. The scent intensifies when it's warmed into the skin and I found that Pacific Goddess was the perfect choice for balmy days on holiday. I felt like I'd taken a little piece of New Zealand with me and a bonus was that it was smaller than any other fragrance I would otherwise have packed. It was important to me to factor in space-saving products when packing. Also the lack of alcohol means that it's safer on the skin and gentler in the sun than a traditional alcohol-based perfume. A fantastic product to take on holiday, I think you'll agree. "Inspired by the mysticism of the female deities in the Pacific, Pacific Goddess is strong, creative and nurturing. Dramatic Alahehe, Goddess of Love; Hina, Goddess of the Moon, Patroness of Travellers; and Papatuanuku, the Earth Mother of all. Born of volcanic mythical legends, this wonderful blend is our most popular solid perfume fragrance. Test the waters! Its both soft and intensely rich, full of spicy yet delicate vanilla extracts." A sample set of solid perfumes is available to purchase also. For $33 you receive all 3 of the Artisan Range and 5 sample sized products from the Original collection. We aren't talking a one use type sample either, they are very generous sizes. I'd say it's perfect as a gift for a perfume lover, who can sample many scents. Or for yourself if you are trying to decide which scent you like best for later purchase. I usually save this perfume for night wear. 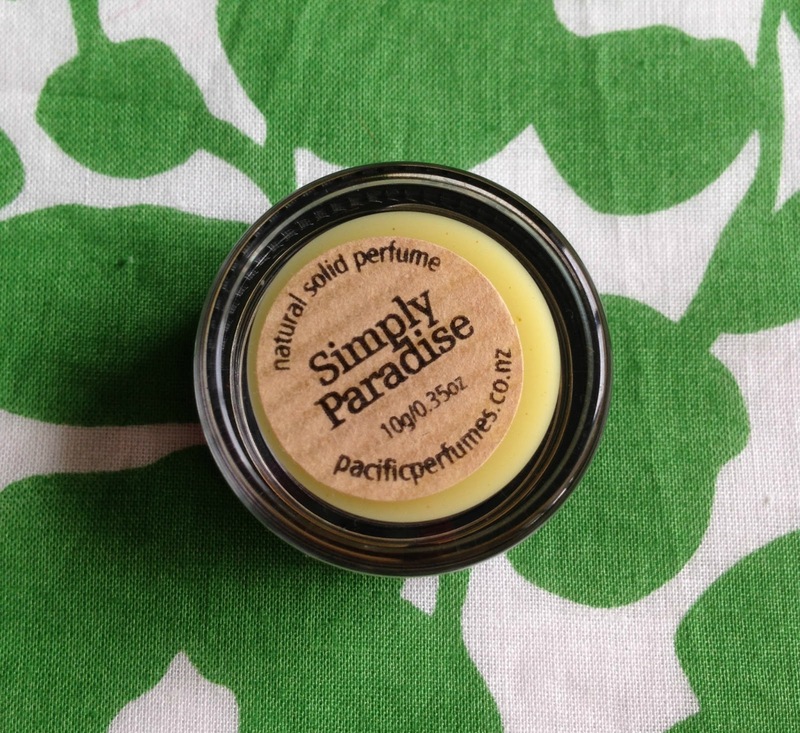 Simply Paradise is from the Artisan Range and is a richer, sweeter, gourmand fragrance. The Amber Resin takes centre stage and at first whiff, you can appreciate the care behind the Artisan Range and separate it from the Original. "Inspired by the very essence of summer, mellow and addictive as sunshine, fresh yet sweet like the Cocoa it languishes in. Heavenly aromas of Amber, Ylang Ylang, essence of Guaiacwood and rich, subtle Sweet Orange harmonise in delicate leathery & fruity undertones. The celebration continues with mythical Frankincense Absolute and Peru Balsam, caressed by a just a hint of Vanilla." 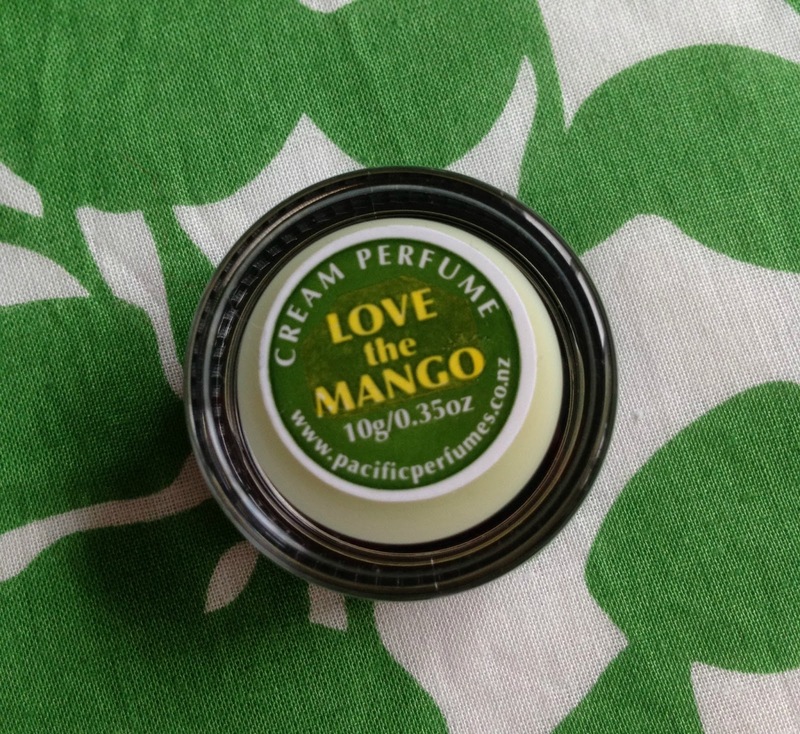 Totally different to Simply Paradise, Love the Mango hits you with a mouth-watering citrus and mango combo. Mango is one of my favourite fruits and I could eat it all day long, the yellow flesh and sweet smell just come back to me when I smell this. It's like a burst of sunlight right in front of me. The ultimate fruity cocktail. "Top notes of Lime and Black Pepper Essential Oils are a subtle introduction to the first notes of the Queen of Fruits. Then richness and colour burst forth and the Mango heart emerges: sweet, luscious and juicy. So... Love. So... Mango." 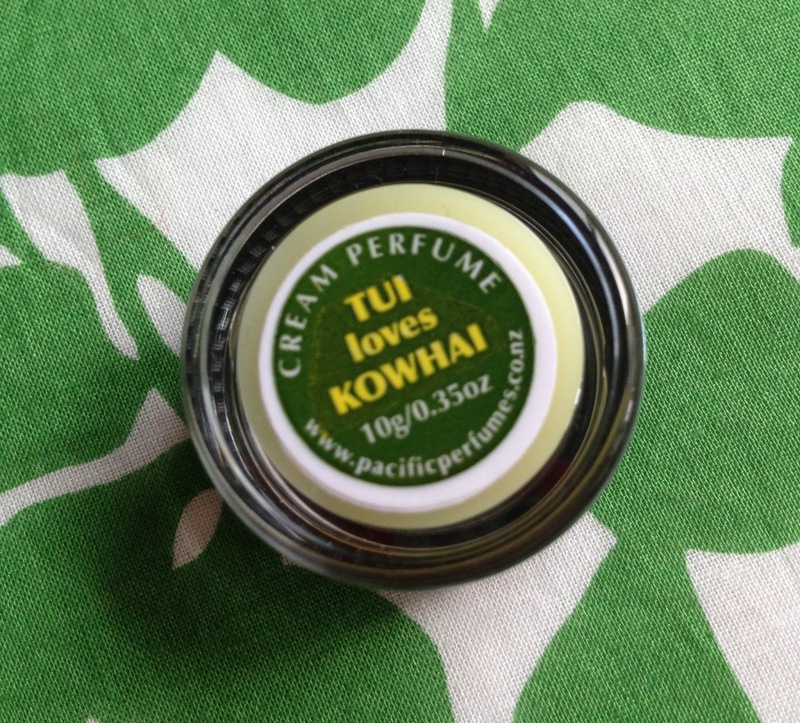 Tui Loves Kowhai is a tale of romance. Jasmine is sweet and alluring and reminds me of that first date - full of promise. A real Kiwi love story between the Kowhai tree and the native Tui bird. "Its all about love and intensity. Inspired by the relationship between the feisty bird called Tui from Aotearoa, and the fleetingly flowering Kowhai tree. Vibrantly deep yellow flowers bursting forth to meet the feathered friend, the fragrant gathering before the blooms fade - a singing celebration of harvest. Our tribute to this is a Jasmine/Honeysuckle rich and alluring heart note and a woody hint of a Vetiver finish." Love Asteroid is a perfume oil concentrated in florals. A delightful bouquet of white florals, best after a few moments once it's warmed by your skin. Each flower blossoms on its own and transforms. Each time I smell it, it's like a whole new scent. Love that! "In pure and simple terms, Love Asteroid is a botanical elixir of magnificent white florals. Rose Damascus, Tuberose, White Champaca, Magnolia and a finishing note of Cardamom. Designed with the planetary influences in mind this perfume oil is romantic, velvety warm, rich and sensuous to the core." So there you have it. A total sensory experience by Pacific Perfumes. My office smells beautiful now because I've just opened them all to relive the romance that is fragrance all over again. I definitely believe in the power of smell and memory. What your Mum wore when you were little. What you were allowed to spray while playing at Nana's house. What your teacher wore when you were 6 years old. What the honeysuckle smelled like in the field behind school. A scarf you haven't worn in a while with your scent lingering on it. And my favourite, when your boyfriend remembers you've been in his car because your perfume is on the seatbelt. I love it all. Sorry I posted about the giveaway here! Whoopsies! Anyway I have never heard if these perfumes before but they are super cute - I LOVE the packaging! Hey Lizy! I nominated you for the Liebster Blog Award. Beautiful last paragraph :) These sound like they smell absolutely divine! Great value for the set as well. I think I'm returning to perfume after going off it for a while - fragrance was definitely my first love before bags/clothes/makeup.